Read aloud time can be a challenge for sure. Here’s a list of 20 tips to help your kids to focus, comprehend the words that are coming outta your mouth, and be respectful of read aloud time. Practice. It’s hard when they’re little and antsy. Keep going, mama! It’s great to teach respect and when and how to be quiet. Be intentional and gentle. They’re little and this is new and unpopular. They’ll get it eventually. Start with only a few minutes each day. Work up to more. We limit it to an hour. Then my voice gets tired. Mix it up. We read aloud from the Bible. Later, we do science. We do history on a different day. And we make time for fun reads too. Take breaks. Let em stretch or run around the house or do something to get the wiggles out. Attention spans are only about 15 minutes, tops. Let the kids take turns reading. Even if it’s a sentence or two. Great practice and they love it. Great excuse for snuggle time on the couch! Make sure you have a rotation schedule for who sits next to on Mama or there will be fights. How do I know? sigh. Get outside and worship God in creation while reading Bible stories or inspirational poetry or fiction. Yes, they might get distracted by birds or squirrels, but they’ll hear some too. Allow for questions and conversation time. It’s about relationship! Have fun. Give coloring pages that coincide with your reading materials – get Notebooking Pages here! Get US history coloring pages and other history pages here! Get books on CD or tape or Audible and listen to give your voice a break. Also check the library! Make sure they know they will be narrating this to Daddy so they should pay attention! Inform them they will be acting out the narration afterwards. Let em make it a skit with props! Perform it for Daddy or grandparents or neighbors that night. Or video it! Let em have snacks or read during breakfast or tea time. Their mouths are full and they can’t talk! Read at a park, or Starbuck’s, or somewhere public. They’re less likely to embarrass you in public. They’ll be super good if the incentive is playtime or a treat after. They’ll want to hurry through it and go! Do you have any strategies that help your kids (and you) during read aloud time? Great post! We’ve just started reading the Narnia books aloud as a family and while my 6 year old loves it, my 4 year old struggles to pay attention. I will be trying some of your tips tonight! Excellent post. There are definitely a few here that I had not thought of before. My older three do pretty good with read-a-louds, but some of these tips might work great for my younger ones. Thanks! Oh, and have you ever hear of Tales 2 go? It’s another audio book type site. We used a free month trial for it not long ago and loved it. Unfortunately we don’t have money for membership right now, but I think it is a good value. Thanks for the tip. I haven’t heard of Tales 2 Go. I will look into it! Mine don’t do as well as I’d wish with audio. Nor do I, lol. I think they’ll have to begin to love it soon since there will be fewer distractions. We love read alouds here! These are great tips. Thanks for sharing. I was just discussing dialects in books with a friend the other night. She struggles with it and doesn’t want to read Twain to her boys yet so they don’t get ideas on misbehavior! Interestingly enough, my 5yo son (who I’m sure would be labeled ADHD in a classroom setting) can’t get enough of me reading to him. He always asks for “one more chapter!” Any idea why that might be? It seems to go against his natural tendencies. 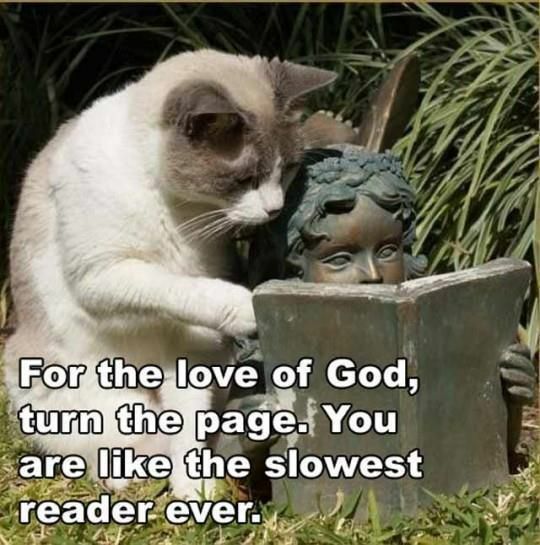 Just love it and read to him! My son is just now sitting still for reading but he says “good” when we’re done.